Create Development's innovative training and resources support schools, families and communities to transform the culture of physical activity. Our unique, inclusive approaches create habits and develop essential behaviours, physical literacy, emotional and thinking skills in all young children. Click here for how Create Development can help your School. 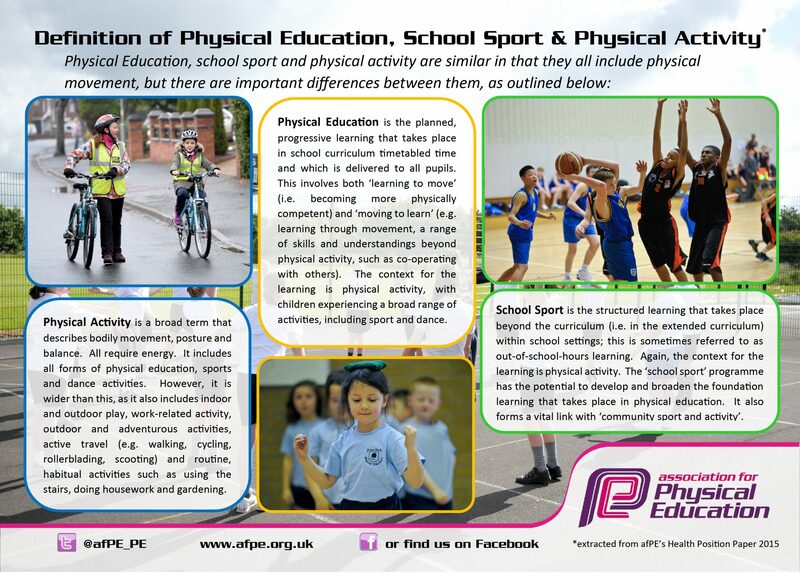 The Association for Physical Education (afPE) is the only physical education subject association in the UK. They are committed to being the representative organisation of choice for people and organisations delivering or supporting the delivery of physical education in schools and in the wider community. Click here to find out how afPE can help support your school. The Youth Sport Trust is an independent charity devoted to changing young people's lives through sport. Established in 1994, they are passionate about helping all young people to achieve their full potential in life by delivering high quality physical education and sport opportunities. To help schools to maximise their primary school sport funding, the Youth Sports Trust have put together a comprehensive guide on what to consider before making investment decisions.